ADELANTO, Calif. (AP) — Federal inspectors found nooses made from bedsheets hanging in more than a dozen cells at an immigration detention facility in Southern California, according to a government report. 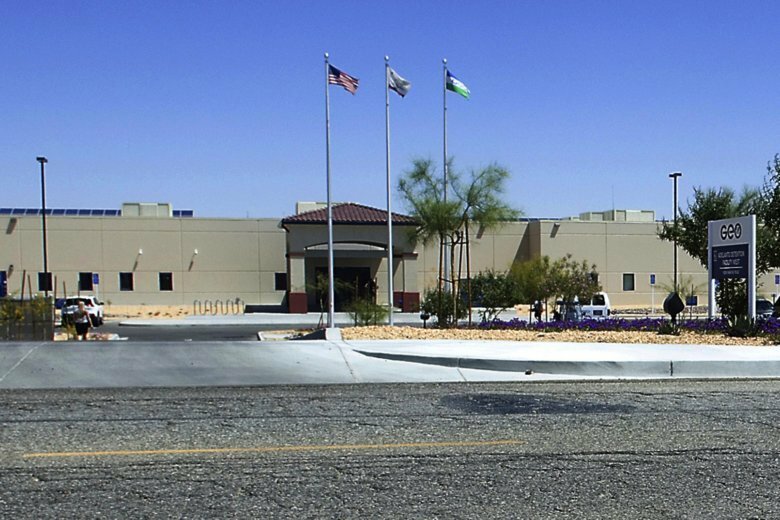 The Department of Homeland Security’s Office of Inspector General issued a scathing report after visiting the privately-run detention facility in the remote, desert city of Adelanto in May, the Los Angeles Times reported Tuesday. Inspectors found nooses in 15 of 20 cells they visited at the center operated by the GEO Group for Immigration and Customs Enforcement, and said guards told them that removing the sheets was not a high priority. Some detainees said they used the braided sheets as clotheslines or unfurled them for privacy. One detainee told inspectors he had seen them used for attempted suicides and that “the guards laugh at them and call them ‘suicide failures’ once they are back from medical,'” the report said. Pablo Paez, a spokesman for GEO, referred questions about the report to Immigration and Customs Enforcement. Lori Haley, an ICE spokeswoman, said the agency takes the findings seriously and will conduct an immediate review of the facility. “ICE recognizes that this can present a dangerous safety vulnerability and will intensify efforts to address this issue,” she said. Immigrants have long complained about conditions at the detention center in Adelanto, 70 miles (113 kilometers) northeast of Los Angeles. The center can house up to 1,940 immigration detainees while the U.S. government seeks to have them deported. Those detained include asylum seekers who recently arrived in the country seeking humanitarian protection and immigrants transferred to the facility after serving prison sentences for criminal convictions. The report also said detainees reported waiting months to see a doctor and that they were placed on wait lists for months or years for basic dental care, resulting in some cases of tooth loss and unnecessary extractions. One dentist at the facility told inspectors he did not have time to complete cleanings or fillings and suggested that detainees could use string from their socks to floss their teeth. Immigrant advocates including the American Civil Liberties Union of Southern California complained several years ago about the quality of the facility’s medical care. Michael Kaufman, a senior staff attorney at the ACLU Foundation of Southern California, said the report shows the center is not looking out for detainees’ well-being and that ICE ignored earlier allegations of abuse and neglect. “It is long-past time for ICE to do what the Constitution and basic humanitarian principles require: to ensure the safety and welfare of immigrants incarcerated at Adelanto,” he said in a statement.